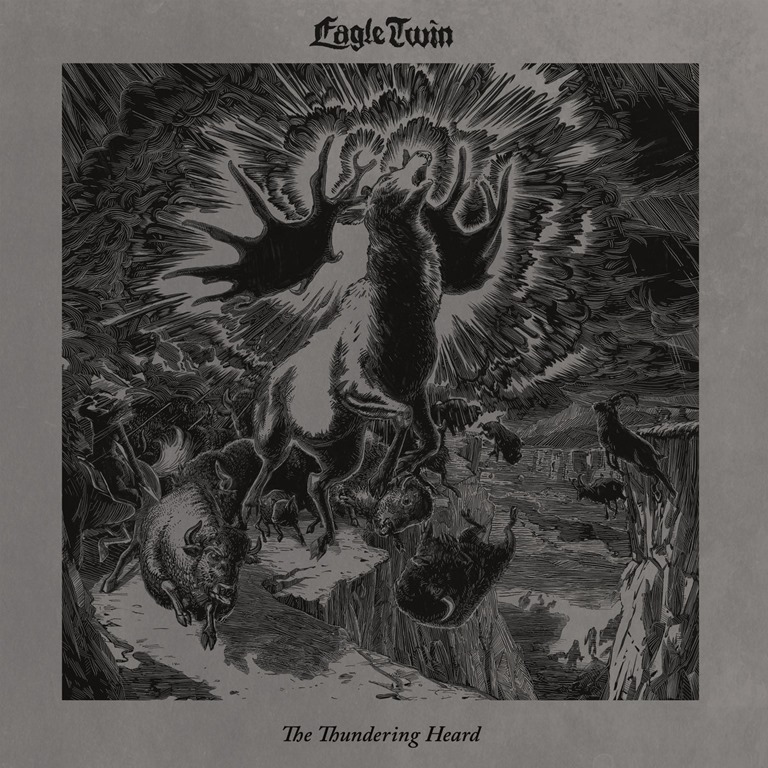 Salt Lake City-based duo Eagle Twin share ‘The Heavy Hoof’ from their incoming and third album, The Thundering Heard (Songs Of Hoof And Horn), due out on March 30th via Southern Lord. About the track Gentry Densley comments,”The Heavy Hoof is the first Eagle Twin song we ever wrote so it has been something we have played throughout the years but never properly recorded until now. Its a simple ditty, that has only gotten heavier over time, all about death and the devil and all that good stuff! Its also about, you know, leaving your particles tingling, dancing in space, after your consciousness has been trampled." 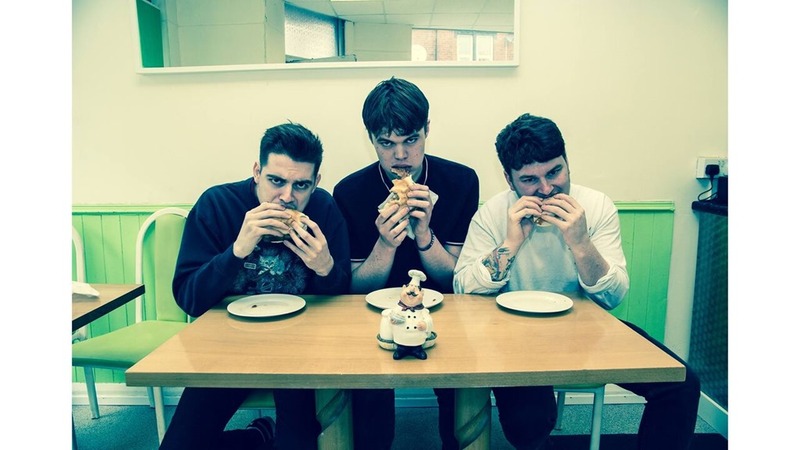 I happened to catch Brooders when they supported Hands Off Gretel in York last summer, and was taken by their grungy tunes. Specifically, the combination of weight and melody. They’re probably to young to grow stubble, let alone have been born when Kurt Cobain was still alive, and yet they’ve got the whole thing nailed, encapsulating the spirit of c.1992 with aplomb. ‘Lie’ captures all of this, along with the energy of their live show, perfectly. 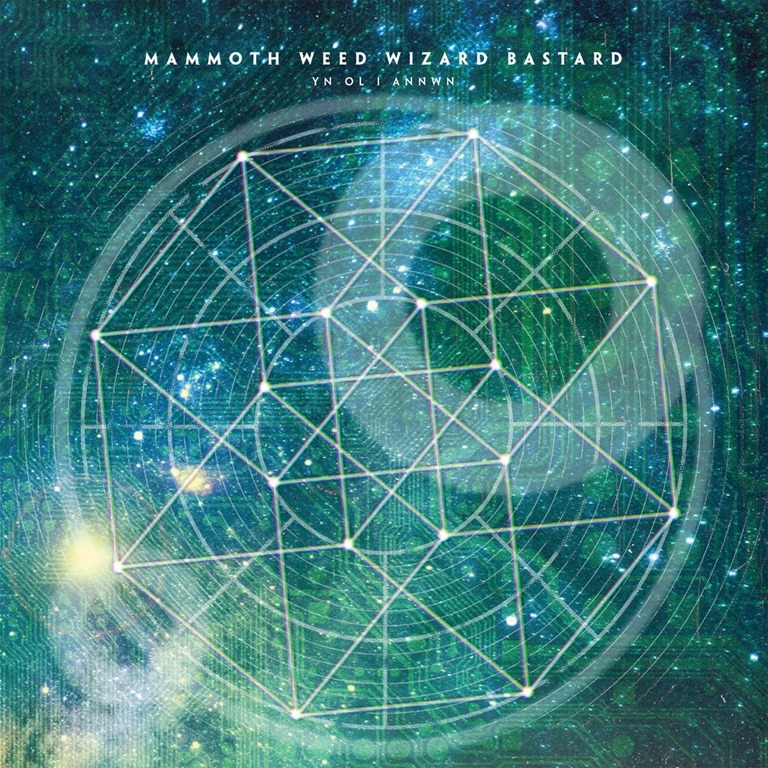 The hefty psychedelic aspect of the sound is also well-represented. You might reference Alice in Chains and Queens of the Stone Age, and justifiably but there’s a sludgy density to the sound that brings another dimension. For all this, it’s a strangely ambiguous sensation that bubbles in my gut when I wrestle with the notion of the youth of today appropriating the music of my own youth. However objectively one tries to critique music, it’s inevitable that any response to music or any art is personal and entirely subjective. Because the purpose of art is to stir an emotional response which has nothing to do with the mechanics and technicality of its production or process. Is part of their appeal to me the fact they stir a certain nostalgia? As it happens, no. Grunge may have embossed itself within the sphere of my musical appreciation in my teens, but what I, like anyone else – I like to think – responds to is the language of sound and the overall sonic experience, spanning lyrics, instrumentation and dynamics. These elements are all fundamental to the driving force that is ‘Lie’. There’s nothing about this snarling mess of overdriven guitars that suggests they’re trying to artificially recreate the zeitgeist of a previous age, or that they’re anything but entirely authentic. 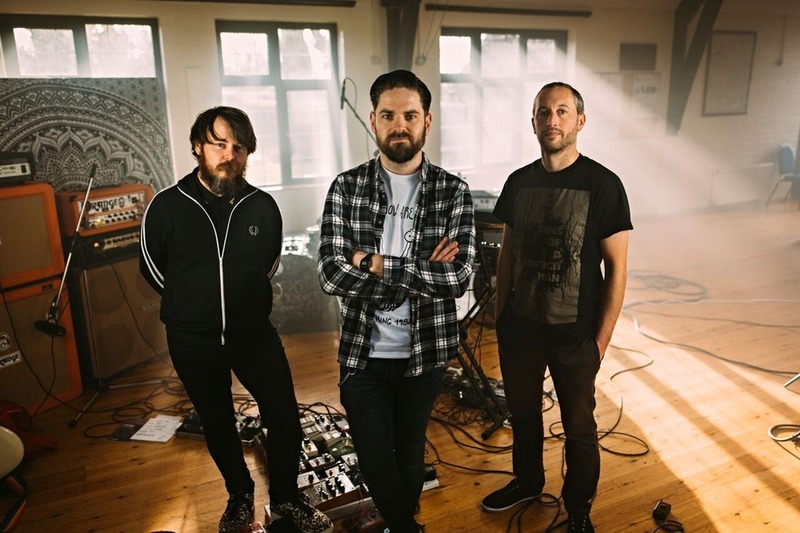 Most importantly, ‘Lie’ is a full-blooded, full-on riff-driven effort that sees Brooders come on with all guns blazing. And it’s a real rush. They come straight on with all guns blazing on this one. A repetitive, driving riff, amped up to eleven dominates the album’s first track, ‘Electricity’. It may be corny an cliché to say it grabs the listener by the throat and gives an instant hook, but the bottom line is that it’s entirely. As a music reviewer who received anywhere up to 50 albums and Eps a week for review, I know as well as anyone the importance of making an impact in the first minute or two. We live in a world that’s time-precious and time-pressured, of instant gratification and low patience thresholds. If whatever you’re pitching don’t grab the attention immediately, then fuggeddaboutit. ‘Saboteur’ is a riffcentric album that blasts off with the claws out, sinks ‘em in deep, and digs right in. Full-on as it is, it’s got range and dynamics, and they don’t resort to formulaic verse/chorus/loud/ quiet structures by way of a default. Although, then they do tale the more conventional path they end up with ‘Raindance’, a full-on grunger reminiscent of Nirvana and lesser known T&G acts like Tar, and it’s belting – arguably, the most obvious single choice from an album that’s dominated by raging, overdriven guitars and angst-laden vocals, ripped with rage. They stalk stealthily through the breakdowns and bring it all back with tumultuous overdriven attack. ‘Dresden; hit s a slower, more stoner-rock vibe, with some heavy-duty tom-driven-drumming propelling a slow, grinding riff into oblivion over the course of an expansive nine-minute sprawl. It’s one of three longer tracks (as in over seven minutes), through which they explore more prog territories, but without losing any momentum. There are elements of Soundgarden and Korn are at play here, not to mention Nine Inch Nails (as exemplified by the full-tilt ‘Charmer’, but it would be wrong to tag them as 90s revivalists. Regardless of decade, the driving guitar riff and thunderous drumming is always king, and the song that conveys sincere emotion and delivers a tangible punch to the gut is god. Silver Snakes are both kings and gods, on the strength of this album. There are elements of Soundgarden and Korn art play here, but it would be wrong to tag them as 90s revivalists. Regardless of decade, the driving guitar riff and thunderous drumming is always king, and the song that conveys sincere emotion and delivers a tangible punch to the gut is god. Silver Snakes are both kings and gods, on the strength of this album.